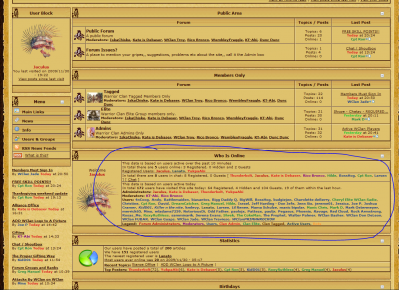 I really like the "who's online" block or section that is the default on the "forum" page since is includes much of the information that is presented in many other blocks separately. it does it cleanly also. The "who's online" block that you can add in CMS to the main page does not have much of this info. For that reason, my first two sites running IP I just made the forum the main page and did all my customization adding other blocks to that page and I redirected traffic from the main page to the forum page. For the site I am working on now I would like to not have to do that. So my question is where is the code for the forum page now? I was thinking it was in a index_body.tpl file before but I know that has changed in IP recently with the newer version of IP. 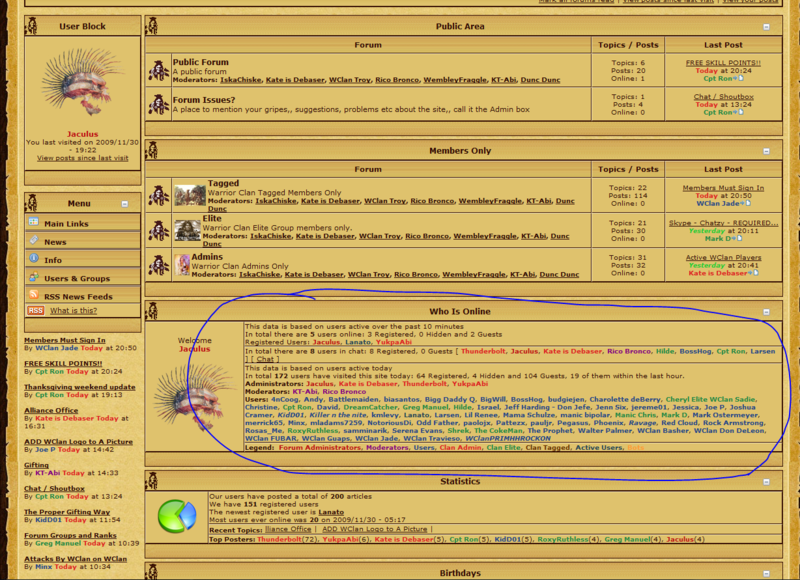 I just can't find where the Who's Online format is located for the Forum page. i might just copy that into the Who's Online block on the main page when I find it. SEARCH is the quickest way to get support. Thanks,, I was looking more for the format,,, which tpl file?